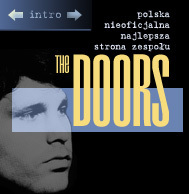 ..: PNNSZ The Doors ::... The Village Tapes : Jim Morrison :..
We're dying, tella, do something. w/ negligence Speak to me! mind soup    crawling lice     book bonds.